Jack Cafferty: [news clips analyzing Sarah Palin] If John McCain wins, this woman will be one 72 year-old's heartbeat away from being President of the United States... and if that doesn't scare the hell out of you, it should. Campbell Brown: In fairness, probably most people can't name a Supreme Court case. But most people are not campaigning to be Vice-President. 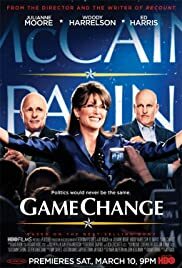 This film is a fascinating look behind the scenes of the most failed act of political cynicism in recent American history: the selection of Sarah Palin as John McCain's running mate for his 2008 presidential campaign. We are introduced to a candidate, John McCain, and a campaign, lead by Steve Schmidt, that is on it's knees. They are desperate and in need of a break, and they throw a Hail Mary pass to Alaska Governor, Sarah Palin. But she is only the first in a series of Hail Mary passes to come. Woody Harillson gives perhaps his best performance ever as Steve Schmidt, a man who is rearranging the deck chairs on this flailing campaign, as fast as he can, before it disappears below the surface. Ed Harris turns in his usual masterful interpretation of a complicated-underneath, but simple-on-the-surface, character, as John McCain. But it is Julianne Moore that is the steel girder of this narrative. She is the embodiment of what we now know to be the Palin phenomenon with all of it's cartoonish qualities and, by equal measures it's dire, and potentially catastrophic, possibilities. Moore delivers, subtly, the Palin we all know, overflowing with unfounded, unearned, unqualified, confidence. The script is very well written and the pace of the story is exact. The final tableau of Sarah Palin standing on stage with McCain at his concession speech, hearing the crowd swell with the mention of her name, was reminiscent of Glenn Close gasping for air as she rose from the bathtub in the final scene of "Fatal Attraction". As Palin winks her cash-register-eyes you can almost see dollar signs in her pupils, and hear a "ka-ching" sound foreshadow the future. It will send a chill up your spine. My only complaint about this film has nothing to do with its production values. It's a great film and will be well rewarded, deservedly, when the Emmys are handed out. My complaint about this film has to do with its politics. Sarah Palin was MUCH worse than she was portrayed in this film. Forget "anonymous" sources. Just look at the public record. The writers, in an attempt to appear "fair", intentionally leave out the most egregious information gaffs in both the Gibson and Couric interviews. No one can forget the moment when Charles Gibson asked Sarah Palin about the "Bush Doctrine" and she had no idea what he was talking about. Or when Katie Couric asked her if she could recall "one Supreme Court decision" with which she disagreed (Roe v. Wade!!!) and she couldn't name one. Those were iconic moments in this chilling brush with cataclysm. But their omission was not the worst offense done by the editing that no doubt softened Palin's image. The worst was how her gaffs WERE introduced to the film viewer. One of them is parroted to us through the infamous SNL skit with Tina Fey, on a hotel television, as a cringing Sarah Palin watches. This omission from the direct storyline (as it really occurred), and indirect delivery through the "liberal" media (SNL) made Palin look less clueless than she actually was. And made the "lame stream media" look predatory and cruel. They were not. Result: undeserved sympathy for the central character, Sarah Palin. 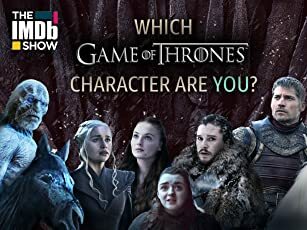 Sadly, this is what HBO does. They play things down the middle even when the facts have clearly crossed over the median and are speeding the wrong way into oncoming traffic. When "what do you read" is considered "gotcha", we're way out of balance. And HBO manufacturing an artificial balance where there was none before? Not good. There are not always two equal sides to a story. HBO's dilution of the real story as it unfolded, in an attempt to seem "unbiased", does a disservice to this otherwise brilliant film, and to history. Game Change shows us the worst in political gamesmanship - the unbridled cynicism that lead an all male campaign staff to choose a political bimbo to be "a seventy-two year old heartbeat away from the presidency". And it shows us the worst in American political celebrity in the form of Sarah Palin with all of her race baiting and blind religious ideology that substitute for facts in her view of the world. She is oblivious to the geo-political winds that howl around this planet. Yet she would not hesitate to invade Iraq all over again because "Saddam Hussein attacked us on 911". Yes, seven years after 911 she was still unaware that that was a lie because her faith and her convictions substituted for the facts. This, I think more than anything, is what this story comes down to. The world is complicated and dangerous and the levers of power should not be in the hands of someone who is uninformed, reckless, and misguided. The stakes are simply too high. 133 of 168 people found this review helpful. Was this review helpful to you?